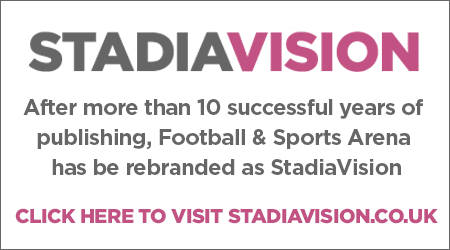 It is the most comprehensive illustrated product directory in the football and arena business. 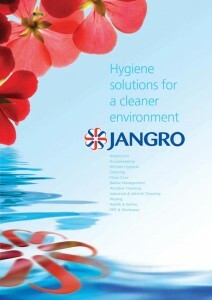 Jangro is the UK’s leading group of independent distributors of hygiene, cleaning, janitorial and catering supplies with 37 privately owned regional branches. It offers the advantage of national product sourcing with local delivery and personal service. 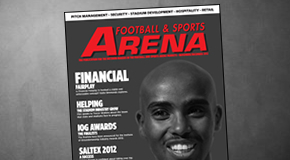 This new publication is the biggest yet arena and stadium buyers’ guide for washroom, housekeeping, kitchen hygiene, catering, floor care, waste management, window cleaning, cleaning, wiping, workwear, personal protective equipment and health and safety products. The catalogue has an increased range of products in almost every sector. For the washroom there are really tough toilet tissue and hand towel dispensers that can provide for huge usage in short periods. It includes graffiti and chewing gum removal products, disinfectants, plastic beakers and beer glasses, napkins and a huge range of bar products and disposables. There is a huge range of cleaning products from mops and buckets, to polishes and products to clean all types of floor surfaces from carpets to wood, ceramic to concrete. The 2010 Jangro catalogue is a must for anyone with a purchasing, health and safety, bar and catering, maintenance or cleaning function. It contains thousands of leading branded products and a wide range of Jangro products developed by leading manufacturers to compete with the top market brands, both on quality and performance. Highlighted again this year, is the increased environmentally friendly range of products that have been sourced and developed by UK based specialist manufacturers. If you require a duster or scrubber dryer, catering disposables, washroom paper products, protective clothing or cleaning chemicals, from a range of over 3,500 products – you can find them all in this informative well illustrated publication – the buyers’ A-Z of hygiene, cleaning, catering and health and safety products.